AccessPress Social PRO is a Premium WordPress plugin to allow anyone easily share website content (page, posts, image, media) on major social media (Facebook, Twitter, Linkedin, GooglePlus, Pinterest, Digg, Buffer, Reddit, Tumblr, StumbleUpon, Xing, Weibo, VK, Delicious, Whatsapp). and display your social accounts fans, subscribers and followers number on your website! Show your social media stats and encourage more to join your network. Make any content on your website social-share-friendly, and increase your social reach dramatically! 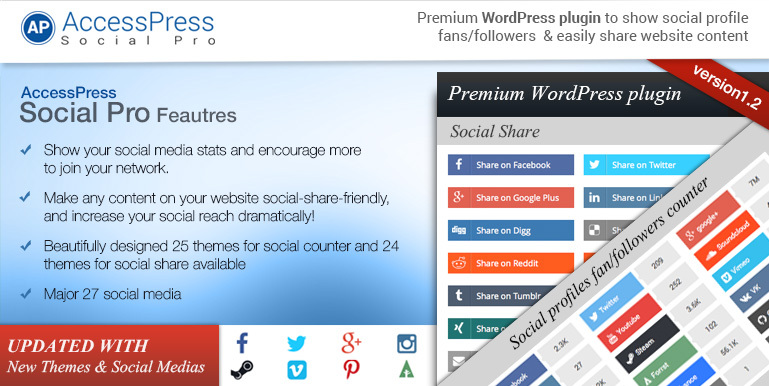 Hey Buddy!, I found this information for you: "Premium WordPress Social Plugin – AccessPress Social Pro". 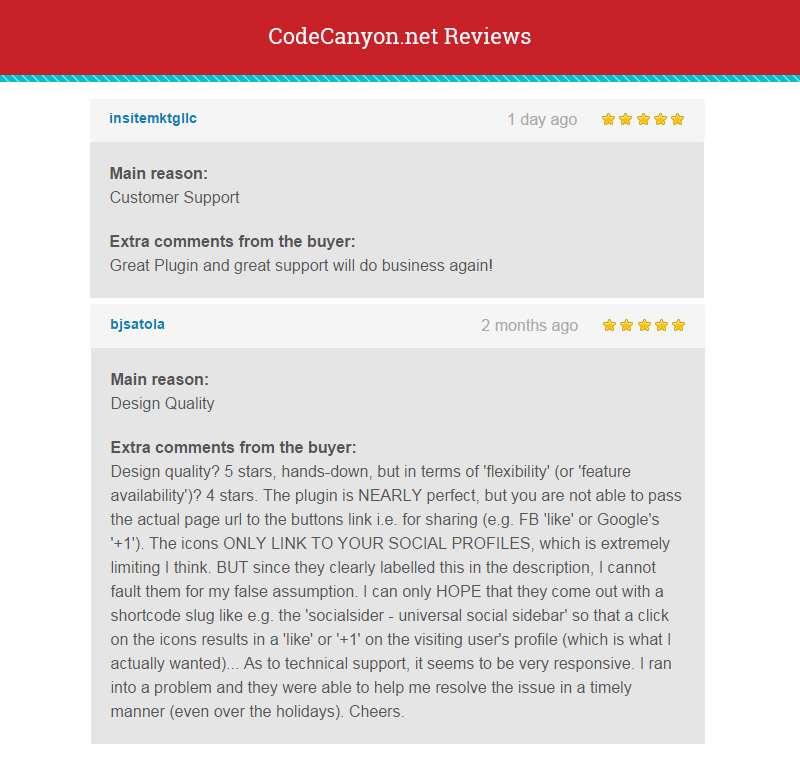 Here is the website link: https://access-keys.com/wordpress-plugins/accesspress-social-pro/. Thank you.